I'm so excited to debut my newest superhero wedding garter set today ~ Green Lantern! 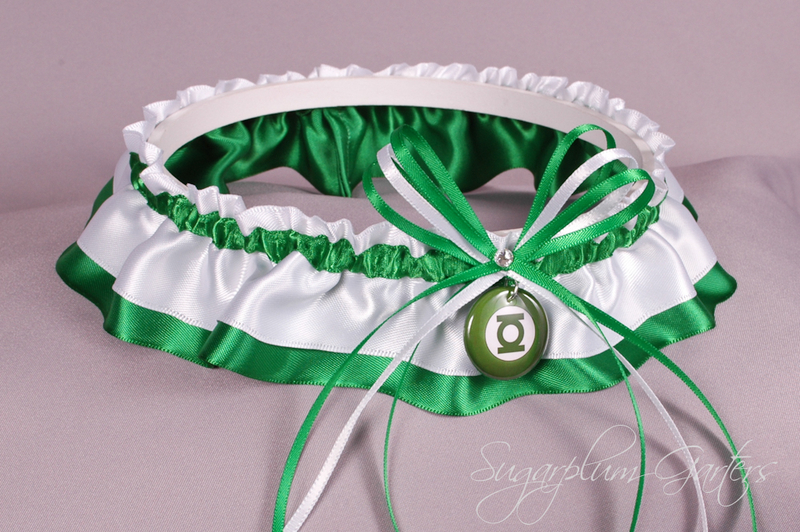 The Green Lantern wedding garter set is available for purchase on my website here; the keepsake garter can also be purchased separately. Check back tomorrow for the final installment in this week's Superhero Showcase!